12:30 – A celebration of spirit by the UCW took place before the Pilgrimage Service. Gary Walsh is an ordained minister in the Free Methodist Church in Canada. 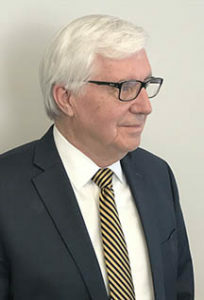 His journey in ministry has included pastoring congregations in the USA and Canada; denominational leadership (Bishop of the Free Methodist Church in Canada); inter-denominational leadership (President of the Evangelical Fellowship of Canada); global Christian partnership development (President of Interdev Inc.); global Christian microfinance (President of Opportunity International Canada) and serving on governing boards. Currently, Gary is serving as Executive Director of Wesley Acres Conference and Retreat Centre. Gary and his wife Ellen live in Wellington, Ontario. They have three sons, eight grand-children and one great grandchild.